Mangrove Nature Trail and Learning Center Opening! 19th of December of 2016 was a milestone day for the Mangrove Action Project (MAP) staff and the community of Baan Ta Sanook (TSN), located in Phang Nga Province, South Thailand. After months of planning, building and organizing, the Mangrove Nature Trail and the Learning Center was officially opened at a special ceremony and finally ready to receive visitors! The mangrove nature trail is a 70-meter walkway which is partly raised concrete so is always dry even at high tide and traverses through a biodiverse mangrove stand allowing you to have a close-up experience with the mangrove ecosystem. It was constructed carefully so not a single mangrove tree had to be cut down. Mangrove species signs are located along the trail as well as mangrove ecology interpretation sign-boards and ends at a Learning Center, a small wooden shelter built over-top of a pond. 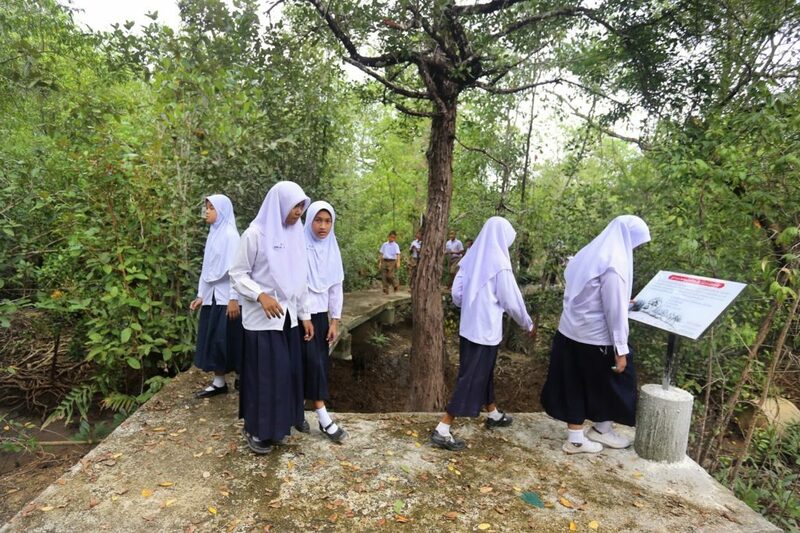 Information about mangrove conservation and ecosystem, are located at the Learning Center which is perfect for environmental education school groups. This project has been funded by DAIMLER AG, the maker of Mercedes Benz vehicles as a CorporateSocial Responsibility (CSR) project, and is managed by Global Nature Fund (GNF) of Germany. 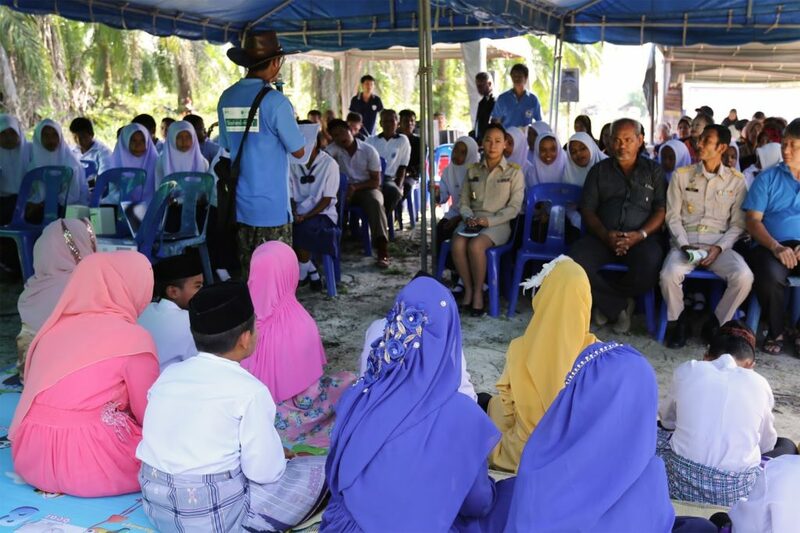 This project puts together people from different villages creating a place to discuss mangrove conservation and restoration ideas within each other, and most importantly encouraging people to work together and create long-term successful projects. 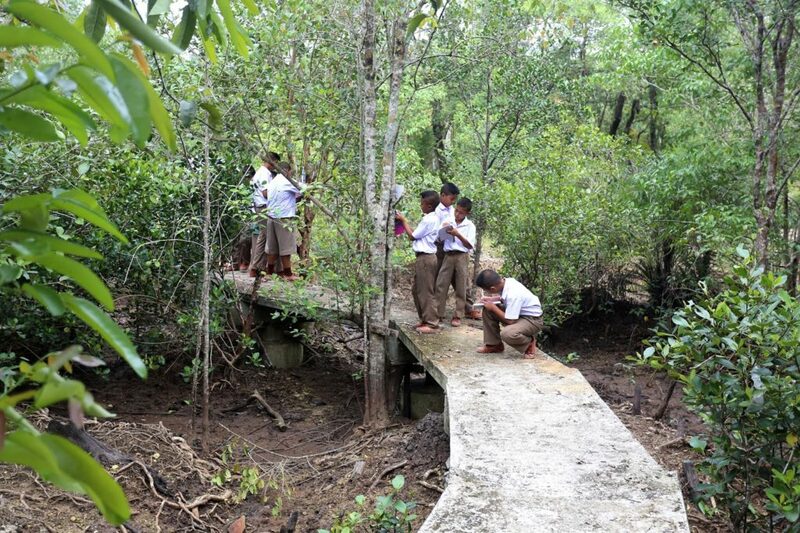 The learning center is a place to support mangrove environmental education of local schools, so kids as the future representatives of these communities are not only learning inside the classroom but also outside in the middle of the real living mangrove nature. On the grand opening day we had a beautiful sunny morning, with about 120 participants, including people from the official governments in Phang-Nga province like the Deputy Chief Executive of the Provincial Administrative Organization (PAO), representatives from the Department of Marine and Coastal Resources (DMCR), the Head Master of TSN school. Also it was amazing to have the participation from the different communities where MAP has carried projects and has worked with over the past number of years to help celebrate this special occasion. Village representatives came Ban Bang Kang Kao and Ban Leam MaKham in Trang and from Krabi province Ban Klong Lu and Ban Nai Nang. The importance of the nature trail and the Learning Center for the protection of the mangroves was mentioned a number of times during the opening, inviting everyone to be part of this project. Local students walking on the new paths through the nature trail. 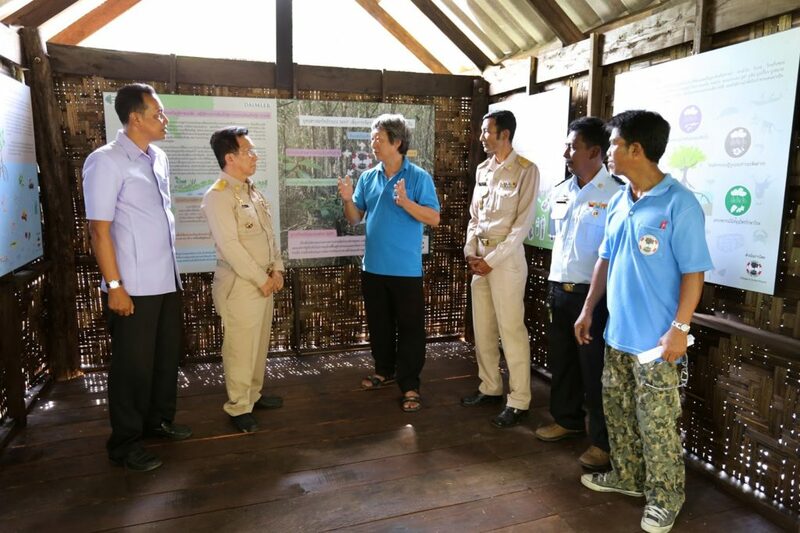 In middle, MAP’s Technical Advisor, Mr. Sompoch Nimsantijaroen, explaining the purpose of the learning center to the Government Officials of Phang Nga Province. MAP hopes the Mangrove Nature Trail and Learning Center is well used and maintained for many years to come inspiring all users to learn and protect this vital ecosystem.